To stay competitive today, marketers must advertise their message more strategically, personalize it and meet potential customers where they are. 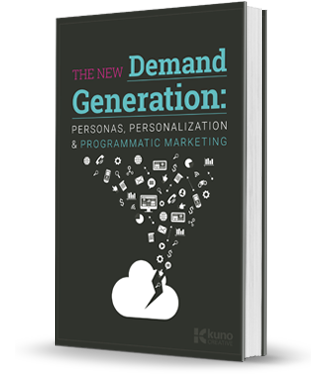 This guide, The New Demand Generation: Personas, Personalization & Programmatic Marketing, offers insight on how to make the most of all three elements. Ready to take your demand generation to the next level with this valuable resource? Fill out the form to download yours now.